What kind of stove and oven do you have? Many chefs swear by cooking with gas as the best way to bring out the flavors in the food they cook. You can bring a little bit of that professional feel to your meals by doing the same thing. 1. The response time is so much better. When you are using an electric stove, it takes some time for the burner to get where you need it to be in terms of the temperature. This simply is not the case when you are using a gas stove. The burners respond just about instantaneously. When you need to reduce the amount of heat you are using, you can do that just as quickly to take your sauce from a boil to a simmer in a very short amount of time. When you are cooking delicate foods, the ability to shift from one temperature to another so rapidly is very important and can mean the difference between getting the taste and texture you want and ruining the meal. 2. You have a lot more control when you are cooking with gas. Gas stoves give you more control over the temperature. At least 72 professional chefs say they prefer gas ranges over electric ones precisely because they can control the temperature. With electric burners, the only way to change the temperature quickly is to move the food away from the heat source. Gas ranges are much more convenient to use. 3. There are more kinds of cookware that can be used on a gas range. There are a lot of cookware that just cannot be used on electric ranges. This cannot be said about cooking with gas ranges. The pots and pans you need to use with electric stoves must be completely flat. They need to be totally flush with the surface of the electric stove in order to really work as well as possible. It is often not possible to get the pan to have full contact with the electric burner. A lot of energy is therefore wasted when cooking on an electric stove. 4. Gas ranges are easy to clean and maintain. No one wants a dirty stove. Electric ranges are known for being magnets for really nasty messes. Most newer electric ranges require people to get special cleaners so they will not scratch or damage the burners and stovetop. Older electric ranges are really hard to clean. By contrast, gas ranges are much easier to maintain and keep clean. All you need to do when you have a gas range is remove the grate and clean it. Any multipurpose cleaner to remove whatever has spilled onto the burners. The set up of the gas range makes it much easier to maintain. If something goes wrong, it is much easier to identify and deal with the problem than when you have an electric range. 5. Gas ranges work when the power goes out. If you live in a part of the country that sees a lot of bad weather, the possibility that your power is going to go out is very real. With an electric stove, you may be left for days or weeks without the ability to cook. Gas ranges, by contrast, will work even when the power has gone out in your town or city. Propane is not just used for cooking, it is a very effective fuel for heating and cooking. It is used in more than eight million homes in the United States. About 4.6% of American homes use the fuel as their primary source for heat. Water heating with propane is a much more efficient and cost effective way to go. It is also a very American fuel. 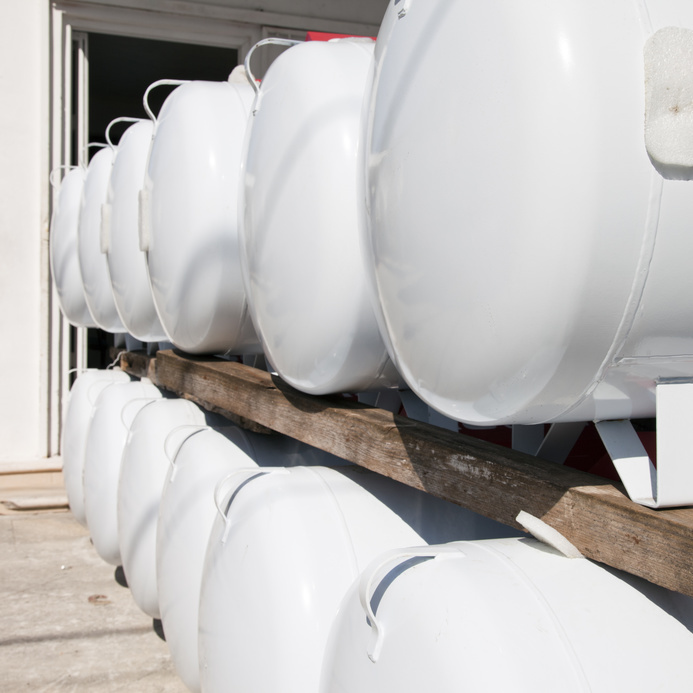 Nearly 90% of the propane gas products that are used in the United States are produced domestically. The rest comes from Canada and Mexico. This versatile fuel is a reliable energy source. Between the better quality of food that you get by cooking with gas to the ways it can be used to heat a home, there are many benefits for residential propane customers.